Ranked as 3rd most popular hotel style properties, it's a convenient and comfortable accommodation option. Hotel Shahjahan meets all the needs of travellers looking for economy lodging in Agra. Hotel Shahjahan is a suitable choice for short visits to Agra with comfortable rooms and all the basic facilities you require for a quick trip. 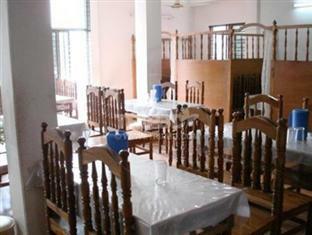 Hotel Shahjahan is a Agra hotel that suits those travelling on a budget. Airport Transportation, Laundry Facilities, Room Service, Travel Counter, Breakfast Services, Backup Generator, Security Guard, Doctor on Call, Currency Exchange, Parking. H/C Water, Attached Bathroom, DVD Player, House Keeping, Air Conditioning Room, Iron/Ironing Board, Cable/Satellite TV, Wakeup Calls, Toothbrush/Razor on Request. User reviews for "Shahjahan Hotel Agra"